The rain came down in a torrent just outside the fish market as the private police force bore down on us from all angles. I had with me a gun-toting troll—a mountain of a woman she was—and a plucky little dwarf furiously alternating between casting buffs on us and throwing fireballs at the cops. None of us mattered, though. Our only concern was the elf, our decker. She had plugged herself into a corporate Intranet to retrieve some R&D files for a client—just a little corporate espionage. 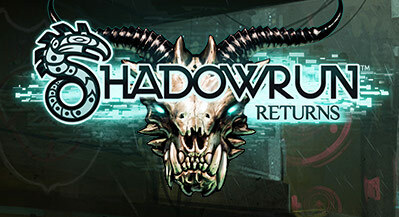 Such is the life of a runner in Harebrained Schemes’ recently released “Shadowrun Returns.” Read on for a Major Spoilers review. Excellent tactical combat system, satisfying magic system, interesting story, high-quality game art. Overly linear story, superfluous character class delineations, I want to save my game when I want to save my game. PLATFORMS: Windows & Mac, though Linux and tablet versions are in the works. If you were into pen-and-paper role-playing games in the 1990s, then you’ve probably heard of “Shadowrun.” Magic has returned to coexist with technology in a dystopian earth newly populated with dwarves, orcs and other fey folk in addition to humans. Think “Blade Runner” with elves.”Shadowrun Returns” is a tactical RPG in which you are a shadowrunner—daring underworld mercenaries who live on the edge of a society that is, itself, balanced precariously between propriety and Late-Roman decadence. The campaign available at the game’s launch, “Dead Man’s Switch,” begins with the player trying to solve the Ripper-style murder of Sam Watts, an old friend from the always nebulous “old days.” In classic RPG fashion, however, your investigation eventually opens up to a wider world of deceit, decrepitude and death. This is no longer Frasier Crane’s Seattle. In my first couple of hours playing, I quickly realized the extremely linear nature of the game’s story; complete Task A and immediately move on to Task B. There is no world map, so you can’t explore and the side quests are extremely minimal and—wait for it— linear, so do them as soon as they’re available or not at all. If you’re going into this expecting an expansive “Baldur’s Gate”- or “Fallout”-style game then you’re going to feel a little shortchanged. In-game dialogue has depth, but few options for branching the conversations based on ability scores. There were more than a couple of spots where a high enough Charisma score would allow for different options, but it doesn’t seem like they affected the gameplay one way or another—one overly linear aspect of the game. “Shadowrun” doesn’t have set classes; instead, you pick an archetype during character creation such as “Street Samurai,” “Decker” or “Shaman” and then allot karma points to the skills and traits you want to develop. However, those skills and traits do’nt have to be related to your chosen archetype; put simply, over a long enough period of time and with enough karma points, anyone can do anything. I’ve never cared much for this type of character development—if classes aren’t going to be at least a little restrictive, then why use them? The challenge of playing with them is that they force you to accomplish in-game tasks in a way that might not occur to you, but would occur to your character—that’s why it’s called role playing. Otherwise, they’re just labels that can quickly become irrelevant if you decide to take the character a different way. The game’s single-biggest problem is the lack of at-will saves—you autosave at the beginning of a mission or occasionally at certain points in a particularly long run. That’s it. Almost at the end of a difficult level but your wife needs the computer? Too bad! You’ll have to start over! Fortunately, however, the developers have heard the myriad complaints about this flaw and are looking into the possibility of including at-will saves in an update. If “Shadowrun Returns” has a shining star, then it’s the turn-based tactical combat system. It’s more than a little reminiscent of “Fallout” and feels more smartly done than that game. The combat magic is simple, but has a nice variety of offensive and support spells—initially I scoffed when I hired a dwarven support mage for a particularly deadly run, but he quickly proved his utility and became the most valuable mercenary on my team. As a Kickstarter-financed endeavor, “Shadowrun Returns” made some promises it hasn’t yet kept and chief among them is the lack of a campaign set in Berlin. It was originally promised at launch along with the Seattle setting, but was left out. The creators, however, didn’t forget about it and it’s slated for a 2014 release; it would have been out October 2013, but the developers are listening to player feedback from “Dead Man’s Switch” and are reworking Berlin to incorporate some asked-for tweaks to the gameplay. It’s a good-looking game and the developers are committed to listening to players’ suggestions for improving it. The man behind “Shadowrun Returns” is Jordan Weisman, who created the original pen-and-paper “Shadowrun,” so it’s a labor of love. It has flaws, but it’s also highly enjoyable with about 10-12 hours of gameplay in the initial campaign; if that puts you off, remember the upcoming official DLC and the user-created scenarios that are already available. If nothing else, the game might introduce you to the greater world of “Shadowrun,” and the fifth-edition rule book did just come out… “Shadowrun Returns” merits 3.5 stars. I concur with everything Brandon said. This was the single game that finally made me buy something from Steam, although you can buy the ‘DRM free’ version as well. Buying it through them makes browsing, downloading and playing new user-created scenarios ridiculously easy. The big selling point for me, however, wasn’t the stock scenario Dead Man’s Hand, but the fact that user created scenarios are not only allowed, but seem to be encouraged. The scenario builder, from what little I’ve seen of it (mostly in youtube tutorials) seems to be incredibly easy to pick up. I tore through Dead Man’s Hand in record time and am now exploring the user-made content, which, considering it’s a relatively new release, is already extensive, and also includes the first steps of ‘open-world’ scenarios. Hands down, it’s a great idea that I hope continues to improve and grow, as it is still kinda buggy. Then again, I’ve been waiting for another ‘real’ Shadowrun game since the SNES/Genesis days (let’s just forget that Shadowrun FPS multiplayer garbage, shall we?). My favorite part of their Kickstarter video was when they introduced the guy responsible for the FPS, then booed and threw junk at him.